The current Hotel Rottnest is in the Thomson Bay settlement on Rottnest Island 19 km off the coast of Perth. 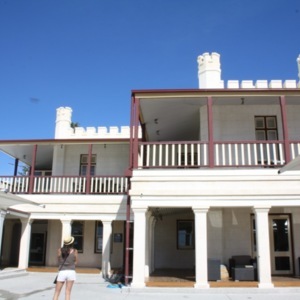 It was built between 1858 and 1864 as a summer residence for the Governor General of Western Australia. Designed by the Superintendant of Public Works and Towns, Richard Roach Jewell, the original two-storey building includes turrets and crenellation, giving the upper storey the impression of a castle. The building was used as the Governor’s summer residence until 1912. Since being converted for holiday accommodation in 1917, and a hotel from 1953, a number of extensions have been added, including a single storey accommodation wing that also includes turrets and crenellation. 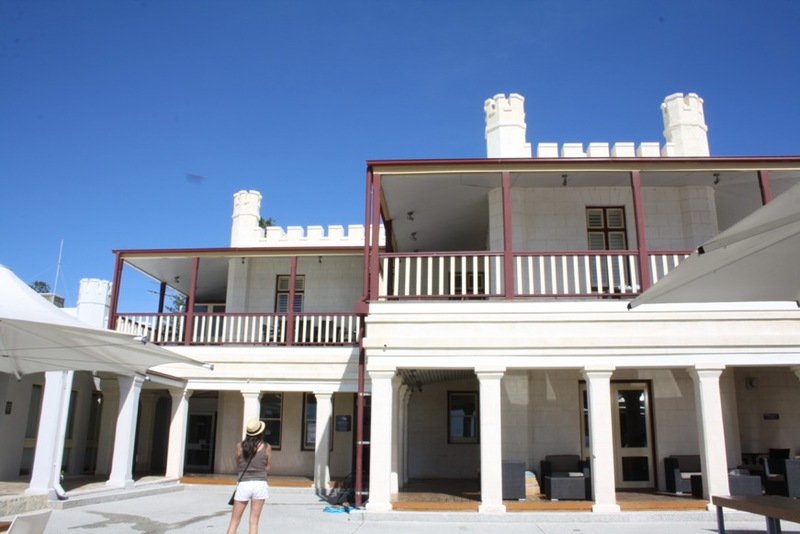 “Hotel Rottnest,” Medievalism in Australian Cultural Memory, accessed April 23, 2019, http://ausmed.arts.uwa.edu.au/items/show/817.